Who won the big teddy? 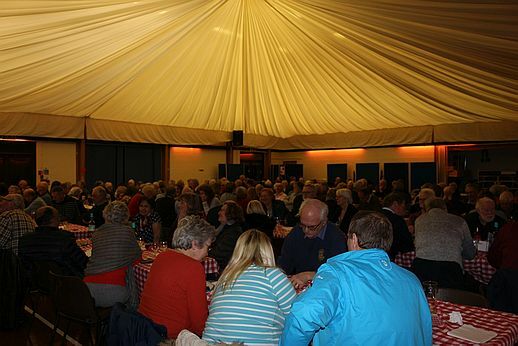 Quiz Night is over for another year, but what a success! We filled 28 tables of 6 contestants and the positive feedback has been great. 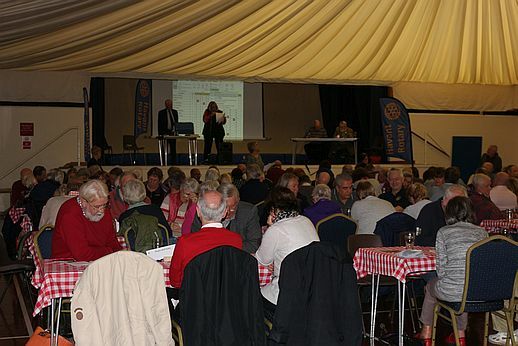 All went smoothly on the night and the outright winning Quiz team DENSA went home with 2 bottles of wine each, courtesy of Rotarian John Blake of the Hayling Yacht Company, who also supplied the 2 runner-up prizes. The tough Marathon Round based on Lord of The Rings film trilogy characters was won by the Whiteley Warriors who won a meal voucher for the Darbar Restaurant in Emsworth, courtesy of Rtn Mayank Gupta, and some chocolates. The booby prize of a generous selction of after dinner chocolate mints went to The Dizzy Dreamers. Our delicious mid-session hot meal of Shepherd's pie and mash, followed by apple tarte tatin and fresh cream, supplied by Stan and Mary Pike of Northney Farm, went down very well indeed. 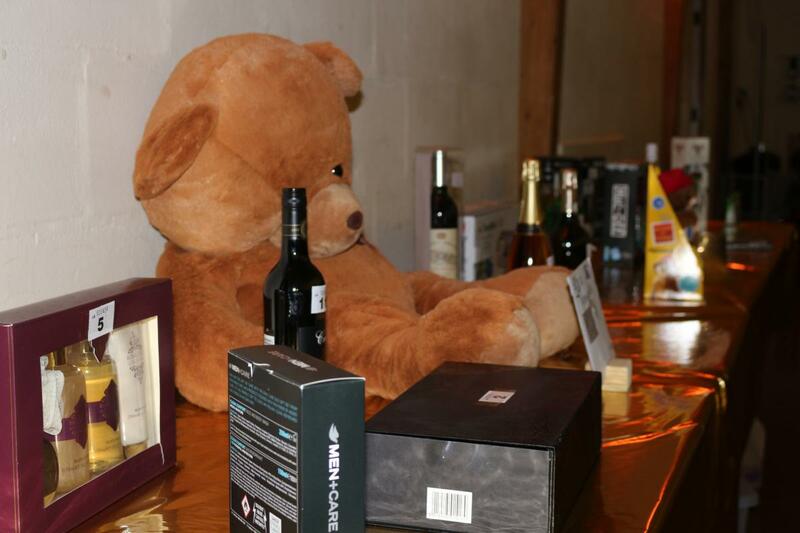 There were many who went home satisfied with their assorted raflle prizes including a £200 ferry crossing voucher. 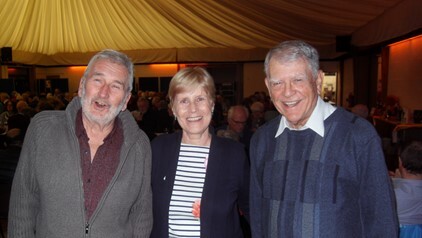 Thanks go to all the Rotarians, too many to mention, who contributed through superb teamwork to the evening's success. We exceeded our expectations and raised plenty for MUNCH and our other charities. Our supported charity this year is 'Munch'. Here is some background courtesy of Park Community School. In 2017 Park Community School established a food project called MUNCH to provide those students who normally receive Free School Meals a free meal in the holidays. ALL children attending local preschools, primary or secondary schools are invited. Our offer has expanded to parents, carers and grandparents who may also experience food poverty. MUNCHensures that no child, no matter what school or age go hungry during the holidays. We have now expanded MUNCH to provide Sunday lunches at the end of the month and meals on Thursday tea-times to help families in our local community. 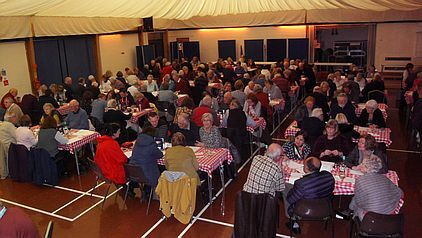 We were delighted that for the fourth year running, 138 local people joined us for Christmas Day MUNCH for a traditional festive dinner and all the trimmings.